The perfect hat to get people talking. 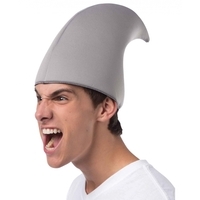 Shaped like a fin and with a shark's color, this hat will get just as much attention as if you were a real killer great white swimming at them. One size fits most.